It really is the most wonderful time of the year isn’t it. Crisp mornings, cosy knits and frosted fields have got us all dreaming of a white Christmas and for some, the cold snap may have ignited a desire to plan a winter wedding too – real or imaginary (we’re not here to judge). 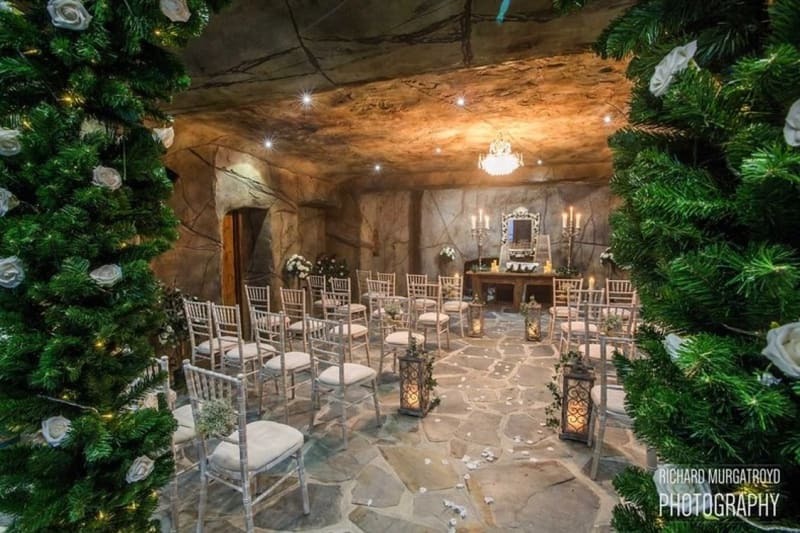 But where are the best winter wedding venues hiding? Where in the UK could one find that film-like representation of a winter love scene? Thankfully, we’ve scoured the country to bring you a list of the most magical places. 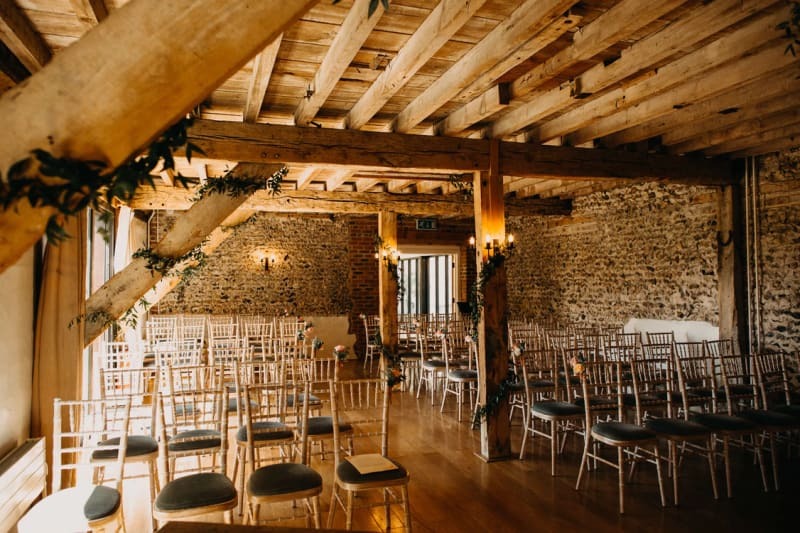 So grab a mug of something hot and snuggle up by the fire to enjoy our 9 Christmas wedding venue favourites. The Granary Estates epitomise cosy English interiors and you have the option of choosing between two stunning barns linked by a glass walkway and boasting a private courtyard. Whilst choosing the smaller space makes for a more cosy, warm and intimate festive affair. Forego the sweet table and finger food and opt to toast marshmallows over an open fire as you party into the night. 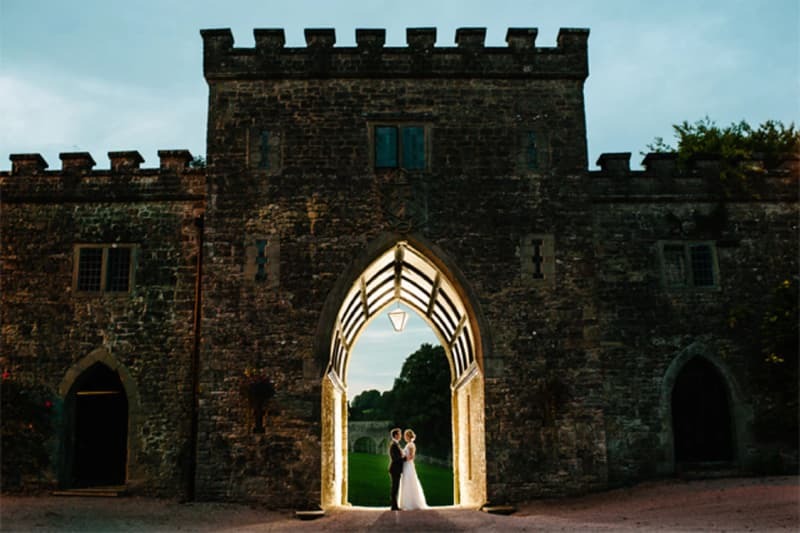 Probably the fact that Clearwell is also a magnificent fairytale castle tucked away in an enchanting forest. Yep – that would be it. 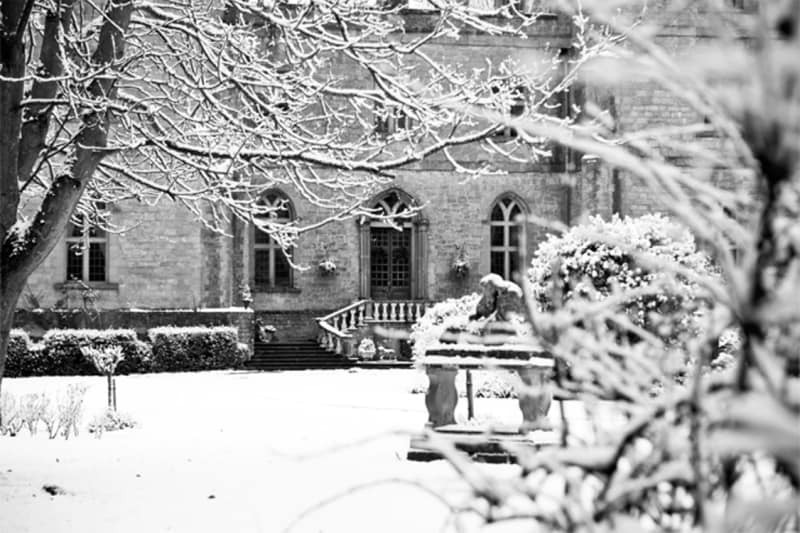 Get lost in the snowy grounds surrounded by nature and historic beauty when you choose to have your Christmas wedding at Clearwell Castle. Is this how it feels to be inside a Christmas tree? 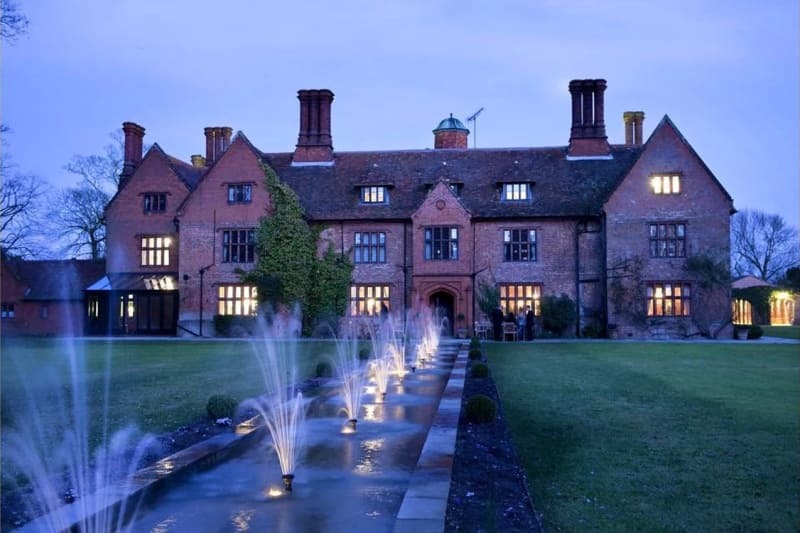 Enjoy the cosiest of winter weddings at the timeless and enchanting Woodhall Manor – a quintessentially English chocolate box of a venue. 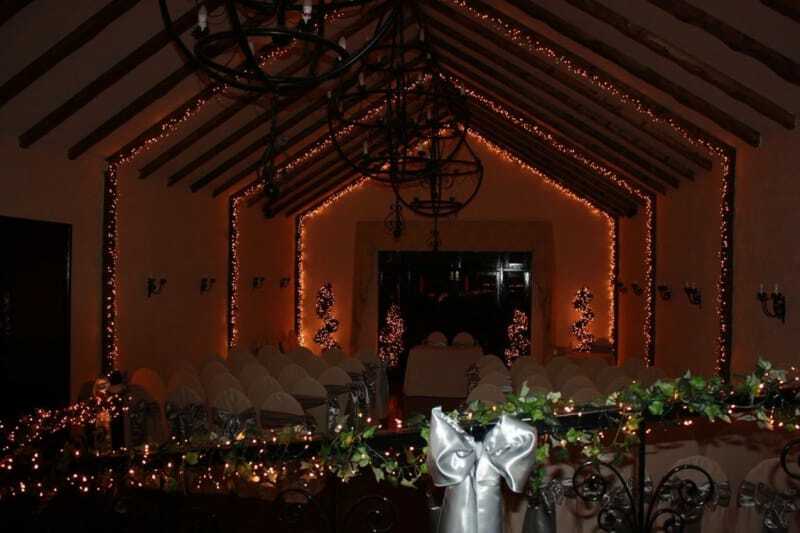 Fennes is a storybook winter wedding venue made all the more romantic when surrounded by a thick blanket of white snow. 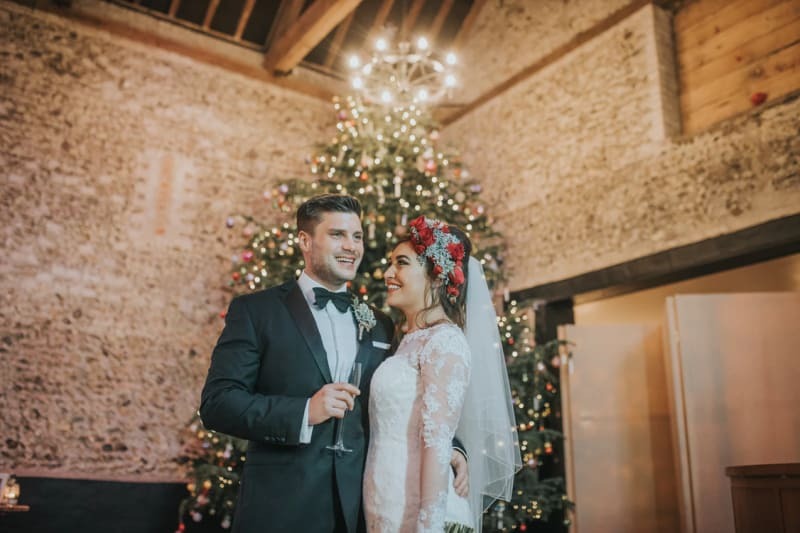 With its Georgian style architecture, high ceilings and beautifully landscaped gardens you’ll feel privy to a grand and exclusive festive affair. 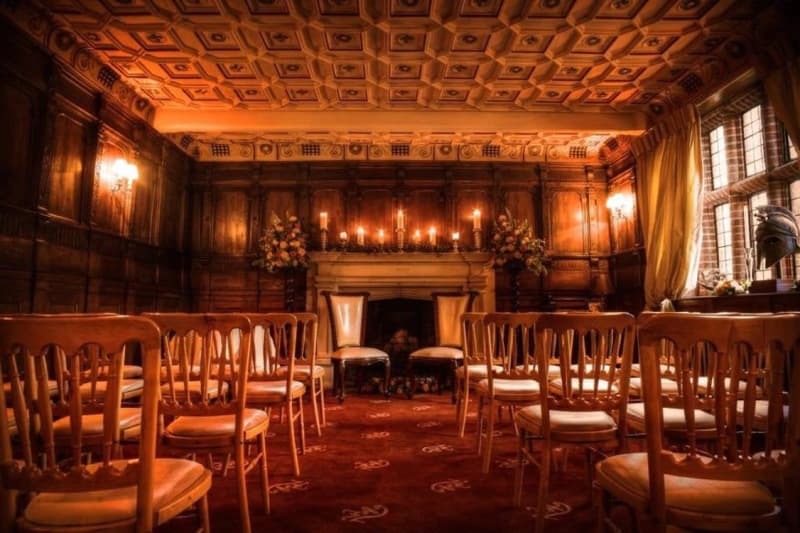 With its huge sash windows and tall ceilings dripping with chandeliers, you’ll be able to enjoy a high society style wedding with views of frosted nature all around you. When we think of weddings by the sea, we don’t instantly think of winter weddings by the sea. Brrrrr! 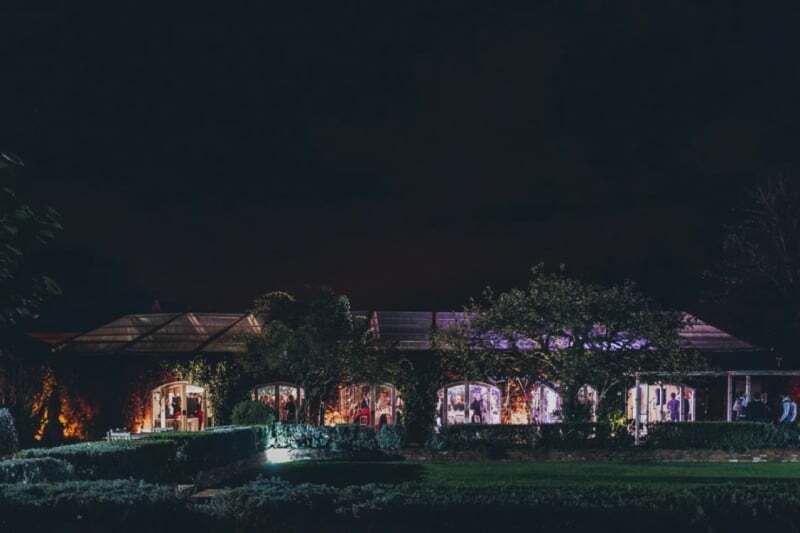 Ocean Kave is a luxury coastal wedding venue situated in 60 acres of countryside on the North Devon Coast. 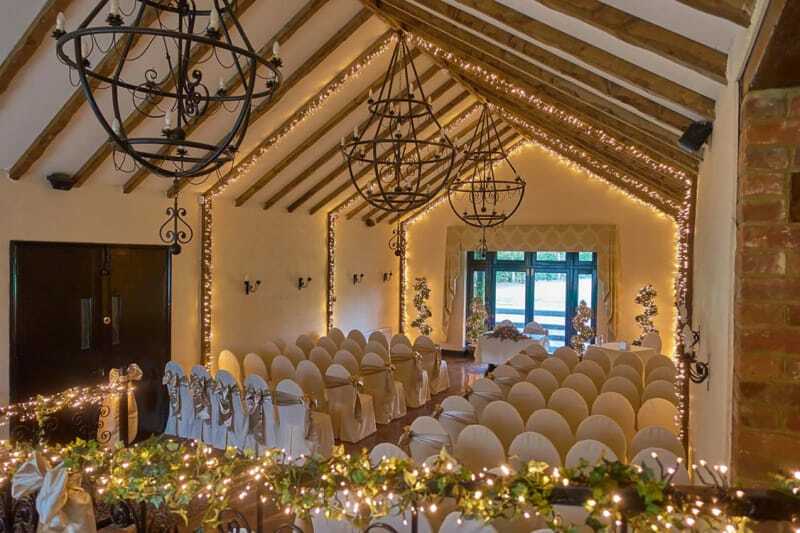 Their intimate, all-weather ceremony venue and purpose built reception suites mean that you could get married in the warmth to the sound of crashing waves and the sight of falling snow. 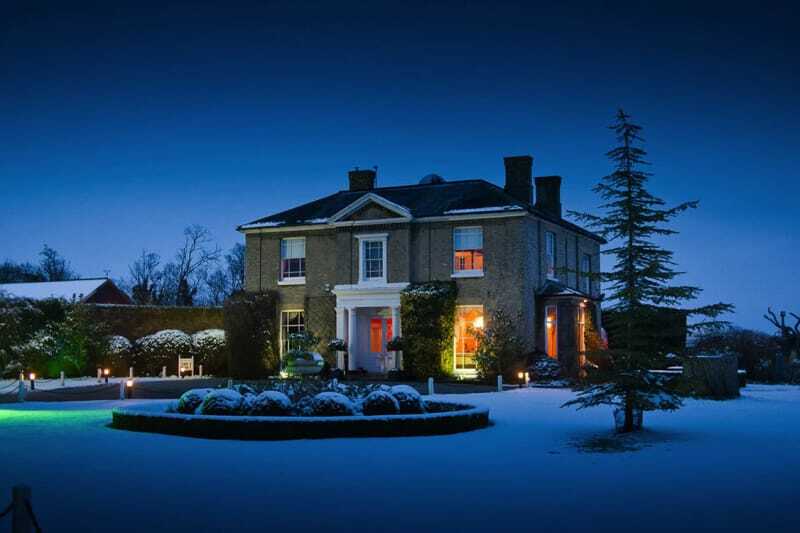 This imposing 18th Century manor house in Hampshire is light and airy yet beautifully decorated for the festive months. 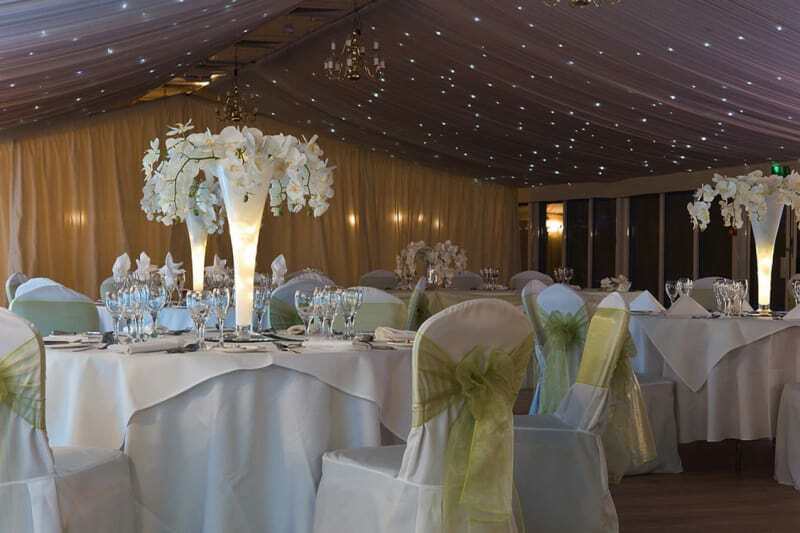 Look up at the stars from the beautiful reception space – decorated exactly as you wish – and fingers crossed you’ll enjoy some snowy views too. 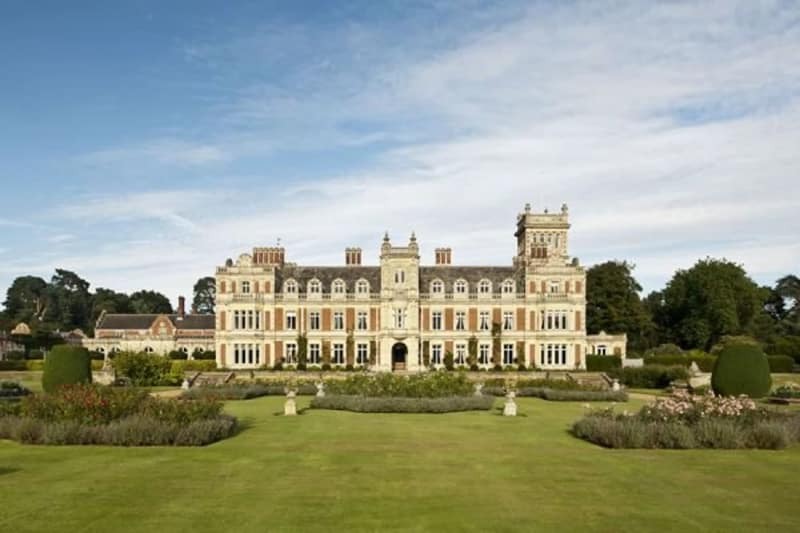 This stunning 5,000 acre estate in Suffolk is recognised as one of the most beautiful stately homes in Britain. And it isn’t difficult to see why. 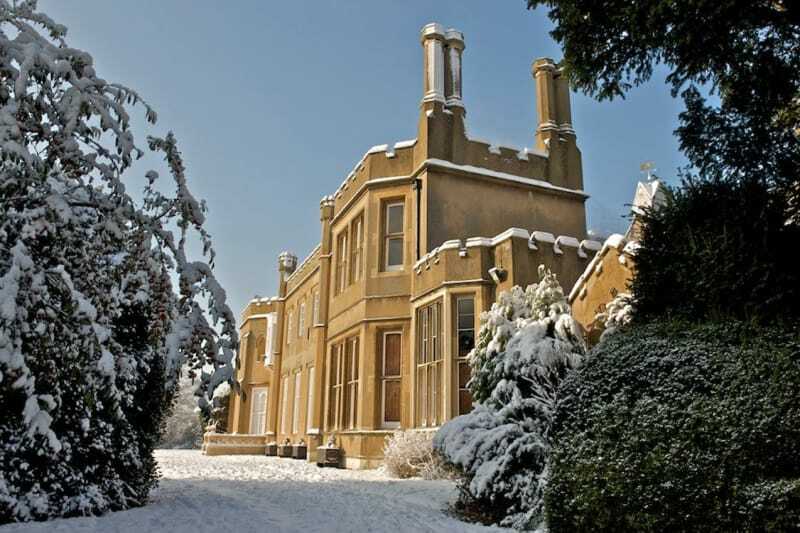 Choose a romantic Winter Garden Wedding and you’ll be able to enjoy views of this incredible manor house and its landscape gardens, and keep warm at the same time. 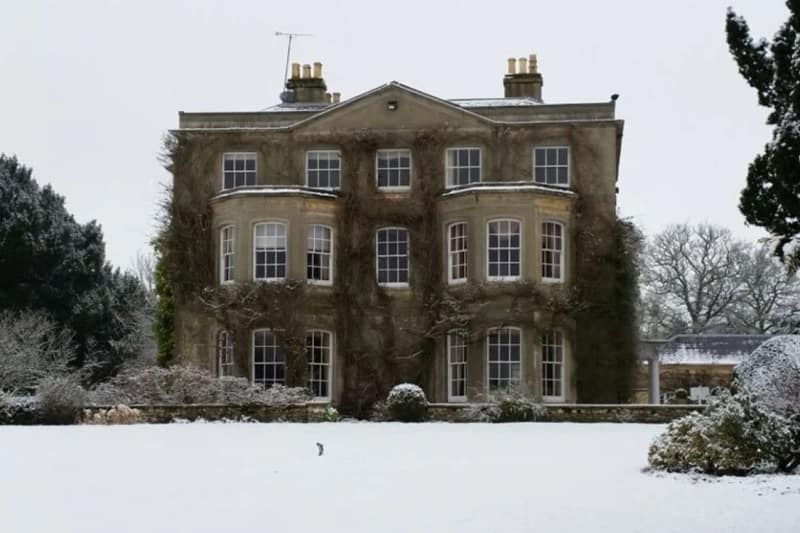 If this list of winter wedding venues has left you wanting more, jingle all the way over to Bridebook.co.uk for our entire list of UK wedding venues.